The joy of parenthood – it begins the moment you find out you’re going to be a mom or a dad. And before you know it, that happiness and excitement is soon overshadowed by the state of anxiety and uncertainty known as worrying. It’s inevitable. It’s part of the world of parenting. And when your child approaches driving age, worry takes on a whole new dimension. This week’s discussion is dedicated to providing parents with tips and resources to help coach your teens to become safe and responsible drivers, and maybe even help you worry a little less. It starts with communication followed by action. National Safety Council tell us that experts advise taking the following actions to help keep your teen safe behind the wheel. 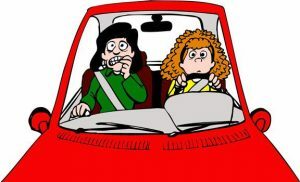 Talking to your teen about the rules of the road isn’t necessarily easy, but it is important. That’s why we recommend a Parent-Teen Driving Agreement to help start the conversation and come up with mutually agreed-upon rules of the road before handing over the keys to the car. The Allstate Foundation has developed state-specific templates you can use, and are available in English and Spanish. Sit beside them as they drive and schedule 30 minutes of practice time each week—before and after they get their license—to check in and see how they are doing. Drive the way you want your teen to drive. Your sons and daughters have learned from you all their lives. They don’t stop learning now that they have their license. The best way teens can show they are ready for new privileges is to show they can handle the ones they have been already given. It can be tough enforcing rules with your teen when the parents of their friends don’t follow suit. It also can be dangerous for your teen to be a passenger in a car driven by a teen given too many driving privileges too soon. Make sure you know where other parents stand on teen driver safety and tell other parents about your feelings. The TeenDrivingPlan (TDP) is an interactive web-based program to help parents more effectively supervise driving practice.